When an American spacecraft disappears from orbit the United states immediate suspects the Soviet Union. However, since the British tracked the craft to the Sea of Japan they decide to dispatch James Bond to Tokyo to investigate. James Bond, assisted by Tiger Tanaka, as well as Bond girls Aki and Kissy, uncovers a plot by SPECTRE to start World War III by hijacking American and Russian spacecraft, while making it look like the work of the other side. 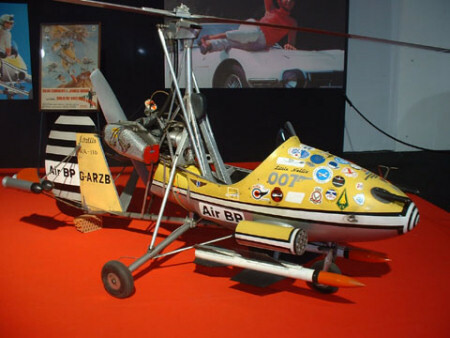 007 must prevent Blofeld’s plan before it is too late. 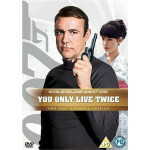 You Only Live Twice marks a turning point in the series, as it is the first James Bond film that was not based on an Ian Fleming story. While Fleming’s novel of the same name is set in Japan and features Blofeld, little else remains apart from the characters Tiger Tanaka and Dikko Henderson – and while he is a colourful character in the book, Henderson is completely wasted in the film. It is notable that the same basic story was reused in The Spy Who Love Me and slightly less obviously in Moonraker,both with Roger Moore. 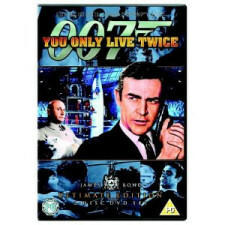 While there are some good moments, You Only Live Twice just isn’t in the same league as the previous Bond films and paved the way for the over reliance on gadgets and excessive humour. 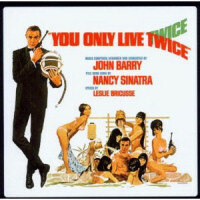 Read more about the You Only Live Twice Soundtrack or buy it online.